Bus, which is cheap. A direct bus (no. 60) leaves from the departure hall (above the arrival hall) twice per hour. Ask the information desk! Leave the bus at the Cruise terminal roundabout, see map underneath. 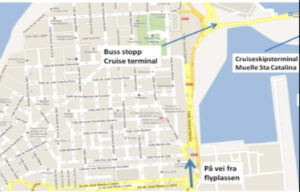 Or you can take a taxi to the Cruiseterminal (Muelle Sta. Catalina) the price is app. € 35. 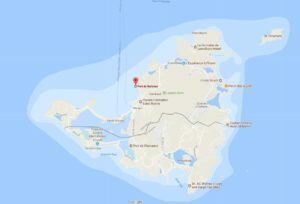 In St. Marteen the ship will stay by Galisbay. Have you sent us your passport number? We also need to register issue and expire date, and where it was issued. If you haven’t sent us this information, please do. We also need a copy of your vaccination-card. Please refer to name and bookingnumber when you send us this information. Remember to bring your passport and vaccination card on board. If you are over 70 and haven’t sent us a health certificate from your doctor, please do as soon as possible. On our web-site, first page if you scroll down a little, you, or your family home can see where Christian Radich is at any time at the map. 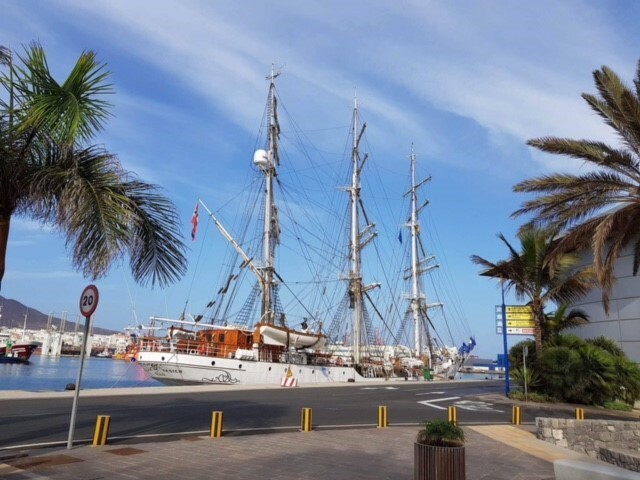 We are looking forward to welcome you on board the Christian Radich! If you receive this e-mail on behalf of one or more trainees, please forward it.